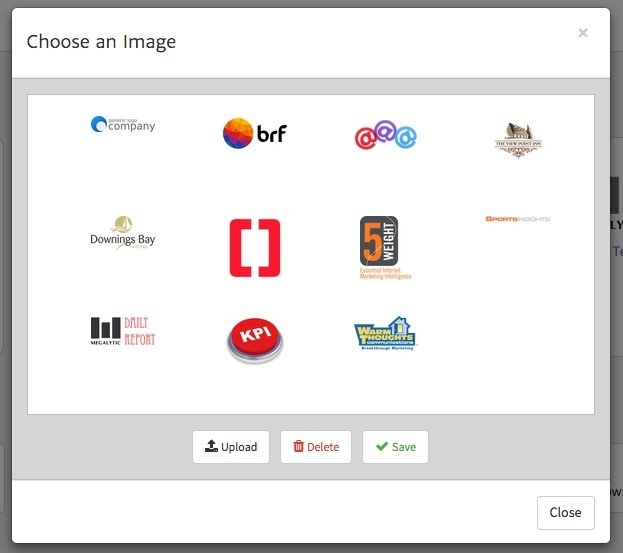 Megalytic provides an Image Library that stores logos and other uploaded images that you use in your reports. Images from the Image Library can appear on a Cover Page, within a Note Widget, in Headers and Footers, as a Report Logo, or as the Company Logo. From here, you can select one of the existing images to use in your report, or you can click “Upload” to add a new image. Clicking on “Save” will insert the selected image into your report.